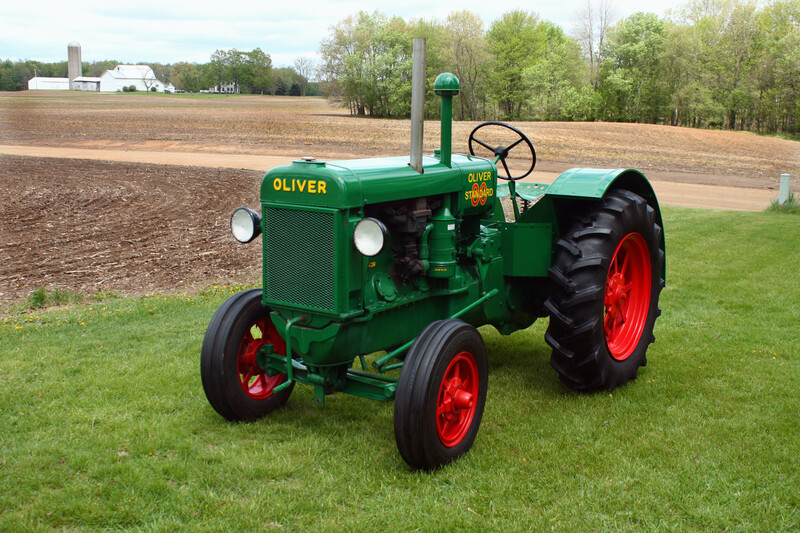 In late 1969, Oliver introduced the 55 series of tractors. The 1550 became the 1555, and the 1650 became the 1655. While they looked the same, the 55 series tractors had mounted headlights into the top of the grill. The 1750, 1850, and 1950-T became the 1755, 1855 and 1955. A new addition to the lineup was the 2455 4-wheel drive articulating tractor. It was built by Minneapolis-Moline and used the 504 CID MM engine. In 1971, this model was upgraded to the 2655. This tractor used a 585 CID MM engine and was also marketed as the MM A4T-1600. This tractor was built through 1972. Fiat also added several models to the 55 series with the introduction of the 1355, which replaced the 1350. The 1265, 1365, and 1465 were also replacements for previous models. Oliver also added a few new models that were really Minneapolis-Moline machines. The Oliver 1865 was basically a MM G950. The Oliver 2050 was designed after the MM G1050, and the Oliver 2155 was basically a MM 1350. It used the same engine as the 4-wheel drive 2655. The 2255 was the first Oliver to use a Caterpillar engine. The early models used the 3150 engine while later ones used a 3208. This was also the last tractor to roll off the assembly line bearing the Oliver name. It was built until 1976.